The rich cream contains an anti-ageing complex composed of extracts of Argan leaves, African tree bark and iris to fight the appearance of fine lines and deep wrinkles. The rich cream contains an anti-ageing complex composed of extracts of Argan leaves, African tree bark and iris to fight the appearance of fine lines and deep wrinkles. This combination has been selected to protect the skin against the activity of free radicals that are related to the appearance of skin ageing. Enriched with Tiger nut extract (Cyperus esculentus), the new formula of the rich cream has been developed to fight and protect the skin against the loss of skin’s firmness and elasticity. Argan oil and Shea butter nourish and prevent drying. 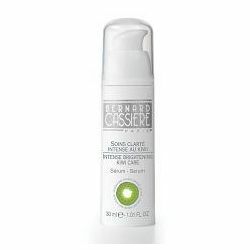 Rich texture, ideal for dry to combination skins, or to be used as a night cream for all skins. Use as a daily care on a perfectly cleansed skin.